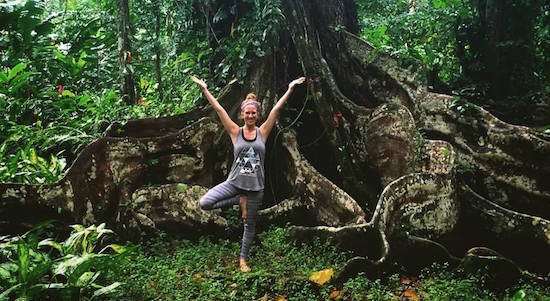 It REALLY is Really Real Yoga: lessons learned from my 15 day immersion training at Marianne Wells Yoga School in Costa Rica. While attending yoga classes at home before teacher training, I often felt anxious. We’ve all been there – an overcrowded room with nary enough room to stretch beyond your mat; an instructor who assumes each student is on his/her level; the feeling of uncertainty as we awkwardly move between poses. My mind was overwhelmed by comparisons to those around me, anxieties about advancing in poses, and desires to meet my teacher’s expectations. No matter how hard I tried, I never reached a yoga practice where I could genuinely calm my mind, progress in the present moment, and feel the REAL benefits of yoga. I was in search of self-discovery, in search of my purpose. I was looking for the keys to the door to exit a job that was killing me from stress. I couldn’t have landed in a more perfect place. 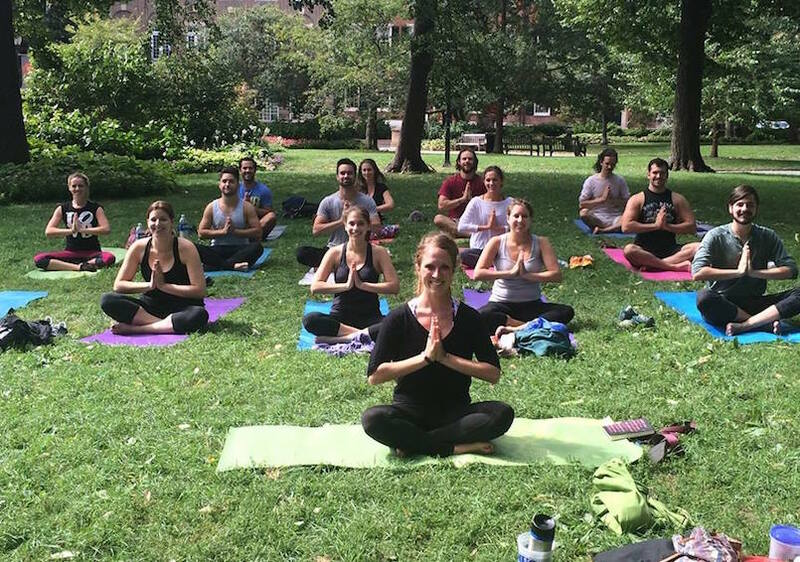 Prior to my journey to earn my 200-hour yoga teacher training certification, I was living the life of an active, stressed city-living yogi and educator (except I really shouldn’t have called myself a yogi just yet). I was working over 60 hours a week and would find myself conflicted every day: Do I cook dinner? Do I run? Do I practice yoga? Do I actually go to sleep at a decent hour? I often made decisions based on others needs – and my health suffered as a result. I was hospitalized three times in one school year. Things needed to change – I just didn’t realize how dramatically they would change. I had been “practicing yoga” since I was in high school, but I never understood the power of a really real yoga until I attended Marianne Wells Yoga School teacher training. Marianne has such a unique way of molding her students into teachers. She emphasizes being mindful, being aware of yourself and your students. That mindfulness renders a sensitivity towards students that gives them a feeling of comfort, and a tailored level of support. Being a yoga teacher can have great influence on a student’s practice, providing the knowledge to help them develop yoga skills and mindset – on and off the mat. A teacher has the power to help calm student’s minds, to create space where students can turn inward – focus on their own practice, instead of those around them. This experience enabled me to understand how much I had been focused on external environment – feedback and opinions from others – at the expense of my own personal experience, my own personal expression, my own health. Upon my return home, I have attended many classes as a student. My perspective of yoga has changed. * The teacher never asks if anyone had attended their class before, was new to yoga, or had any injuries. * The sequence is rushed with words thrown out so quickly no one could keep up. * Limited cueing where students fall over, look around, and get lost in the mix. * Mindless verbiage such as “Meditate!”, “Go deeper!” and “We’re breathing!” as if the teacher was cheering at a sports event. In a recent class the teacher said, “Now go into Plow and Shoulder Stand – I don’t need to walk you through it.” I took a moment before properly transitioning myself into Halasana (taught in well-sequenced and safe steps by Marianne). I viewed a mass of students in the class breezing through a variety of positions – compromising their spine, breath and as a result, their mind. Quickly, the feeling of anxiety I used to feel before training started to flood my mind again. I was unable to focus on my breath. There was a constant need to look around in order to follow along. My calmness was lost – no sense of fulfillment, relaxation, or release while walking out of that class! Here I was in my old behaviors, but also judging the teacher – because I know one can do much better for their students. In these moments I must remind myself – it’s not the teacher’s fault – for they don’t know better. But they should. As I have adopted the title of “teacher”, I will always remain a student. It’s so important to continue learning. To progress with my own self-practice. Teachers must recognize the needs of each individual student who enters the class. Marianne taught me that if you uphold this mindfulness, you can approach students of all ability levels, ages, body types, strengths and weaknesses, and guide them successfully through their practice. Returning home, I tried to overcome the stresses of my job with yoga. I realized I needed more change. I needed to take care of myself and find a new path. So I quit my job. I’m happier now. New and exciting opportunities are being revealed each week. I have time for my personal practice, time to start teaching yoga the Really Real Yoga way. Time for living a life where I don’t know exactly what will come. Time for family, friends, and the man I love. I’m open to the possibilities of it all with a refreshed and much healthier outlook. Marianne’s training showed me that although yoga has changed a lot in our modern world, the traditional aspects hold true and strong. It’s not just asanas. It’s about quieting the mind, union of movement with breath, and finding inner peace. Yoga is for everyone. For all body types, minds, personalities, and abilities. I am grateful each day that I step onto my mat – as a student, or as a teacher. I will never lose sight of REALLY Real Yoga and what that means to me. These realities exist for you as well. Simply trust in the process and have faith in yourself. Thank you Bob. May both of you continue to enjoy the experience. Om shanti.